RF wireless control of luminaires. 2.4GHz, +8dBm RF transmit power. 0-10V analog dimming control, 50mA sink. 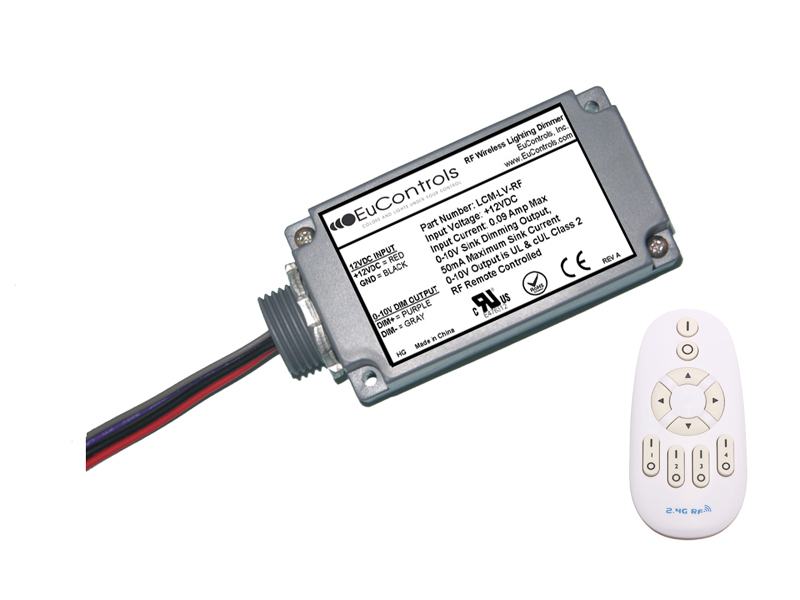 Required remote control LCM-RF-REMOTE purchased separately.